Oracle is one of the few cloud providers that can offer a complete set of cloud services to meet all your enterprise computing needs. 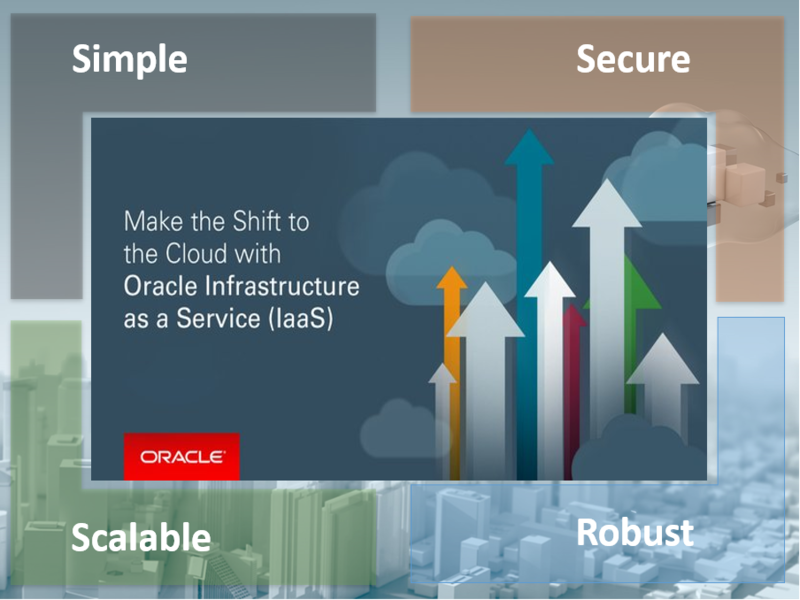 Oracle Infrastructure as a Service (IaaS) offerings to quickly set up the virtual machines, storage, and networking capabilities you need to run just about any kind of workload. Your infrastructure is managed, hosted, and supported by Oracle. Oracle Platform as a Service (PaaS) offerings to provision ready-to-use environments for your enterprise IT and development teams, so they can build and deploy applications, based on proven Oracle databases and application servers. Oracle Software as a Service (SaaS) offerings to run your business from the Cloud. Oracle offers cloud-based solutions for Human Capital Management, Enterprise Resource Planning, Supply Chain Management, and many other applications, all managed, hosted, and supported by Oracle. Oracle Data as a Service (DaaS) Provides data on demand to a user regardless of geographic or organizational separation of the provider and consumer. Oracle Cloud Infrastructure services, known as Infrastructure as a Service (IaaS) At its core, IaaS is a way for organizations to access, monitor and manage remote datacenter infrastructures such as the compute (Virtualized or bare metal) storage, networking and other services like Firewall and Load Balancer they need to run their operations without worrying about buying, managing or maintaining the equipment. With this model, enterprises “rent” the equipment, paying only for the capacity and space they use similar to electricity or other utility billing. Oracle provides a complete Infrastructure for enterprise workloads. 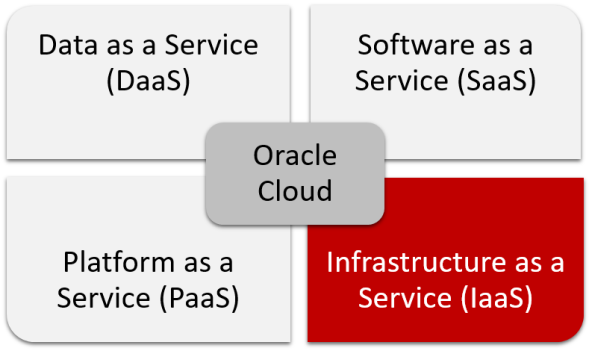 Here’s a High-level diagram outlining the broader understanding of Oracle IaaS Cloud Services. Oracle Infrastructure is engineered to be the highest performing and most reliable in the market for running Oracle software. The unique hardware features built into Oracle’s servers make them the ideal platform for cloud infrastructure, relational databases, scale up computing and custom built storage solutions. Oracle Introduce Industry-first, fully dedicated bare metal physical servers on a software-defined network. Bare metal compute service offers unrivaled raw performance, including servers with 36 processor cores and the latest NVMe SSDs providing millions of IOPS. Bare metal compute options are ideal for I/O intensive web applications or big data workloads. A Virtual Machine (VM) is an independent computing environment that runs on top of physical bare-metal hardware. The virtualization makes it possible to run multiple VMs that are isolated from each other. VMs are ideal for running applications that do not require the performance and resources (CPU, memory, network bandwidth, storage) of an entire physical machine. 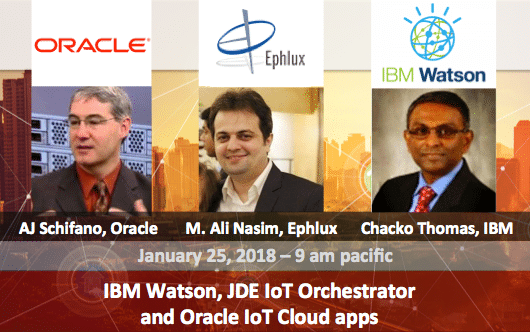 An Oracle Cloud Infrastructure VM compute instance runs on the same hardware as a Bare Metal instance, leveraging the same cloud-optimized hardware, firmware, software stack, and networking infrastructure. Oracle Database Cloud as a Service (DBaaS) provides the ability to deploy Oracle databases in the Cloud, with each database deployment containing a single Oracle database. You have full access to the features and operations available with Oracle Database, but with Oracle providing the computing power, physical storage and easy-to-use cloud portal and command-line interface enable the user to perform database maintenance and management operations. The Oracle Cloud Infrastructure Block Volume service lets you dynamically provision and manage block storage volumes. The user can create, attach, connect and move volumes as needed to meet your storage and application requirements. Once attached and connected to an instance, you can use a volume like a regular hard drive. Volumes can also be disconnected and attached to another instance without the loss of data. Object Storage service is an internet-scale storage platform that offers reliable and cost-efficient data durability. It is an ideal storage platform to store very large amounts of data. With Object Storage, you can safely and securely store or retrieve data directly from the internet or from within the cloud platform. The simple REST-based storage management interface lets you easily manage storage at scale. The elasticity of the platform allows you to start small and scale seamlessly, without experiencing any degradation in performance or service reliability. The Oracle Cloud Infrastructure Load Balancing service provides automated traffic distribution from one entry point to multiple servers reachable from your Virtual Cloud Network (VCN). The service offers a load balancer with your choice of a public or private IP address and provisioned bandwidth. A load balancer improves resource utilization, facilitates scaling, and helps ensure high availability. The user can configure multiple load balancing policies and application-specific health checks to ensure that the load balancer directs traffic only to healthy instances. Firewall as a Service (FWaaS) is a new and revolutionary way of delivering firewall and other network security capabilities as a cloud service. The central concepts of FWaaS are the notions of a firewall policy and a firewall rule. A policy is an ordered collection of rules. A rule specifies a collection of attributes (such as port ranges, protocol, and IP addresses) that constitute match criteria and an action to take (allow or deny) on matched traffic. Oracle ravello Cloud Seamlessly deploy your existing VMware or KVM based data center workloads on Oracle Cloud Infrastructure, AWS, or GCP as-is, without any modification to the VMs, network, or storage. Get data-center-like network services with an enterprise-grade performance for production workloads, and on-demand and cost-effective scale for agile dev/test processes. Dyn brings tremendous domain expertise. Oracle offers a complete, highly differentiated and enterprise-class cloud computing platform for building and running Internet applications and cloud services. Oracle cloud customers will now have unique access to Internet performance information that will help them optimize infrastructure costs, maximize application and website-driven revenue, and manage risk. Oracle Cloud Marketplace is an online store dedicated to marketing value-add professional services and business applications that interoperate with Oracle Cloud solutions. OPN members can publish on Oracle Cloud Marketplace and Oracle Customer can search Applications and Solutions based on the requirement. Also Oracle Marketplace features that pre-configured ERP server images that can be installed on compute cloud with a single click including E-Business Suite and JD Edwards Servers etc. Oracle provides elastic, secure and reliable cloud infrastructure which supports Oracle and non-Oracle Workloads.